Pre-mixed, ready to use MonoStep™ Lowicyrl® Embedding Media saves time and minimizes chemical contact. These products are ideal for use in immunohistochemistry. 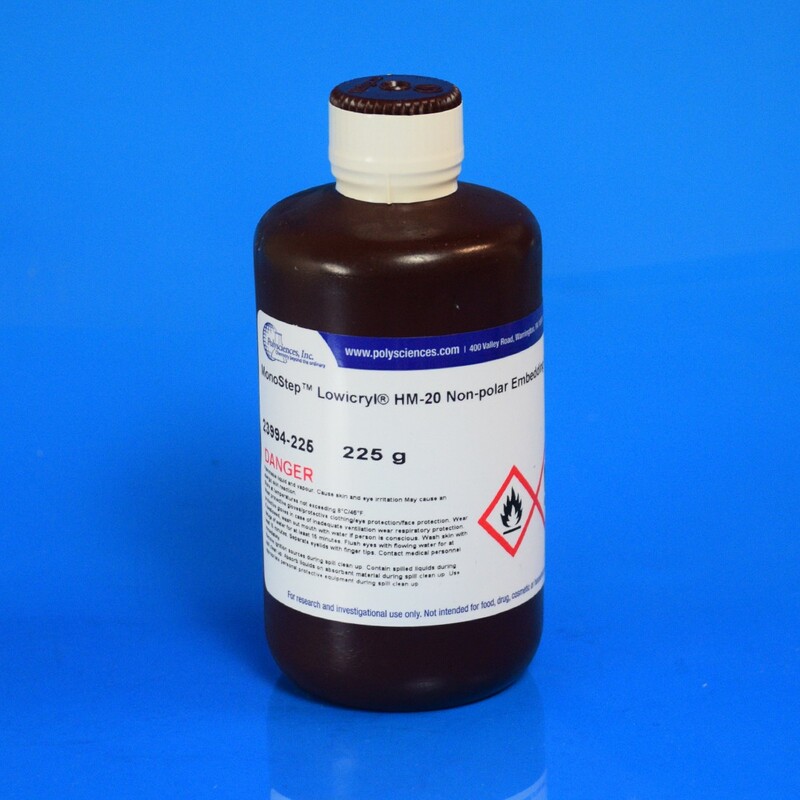 MonoStep™ Lowicryl® HM20 is a non-polar, hydrophobic, embedding media that is based on our popular Lowicryl HM20 formulations for use down to -70ºC. MonoStep products are especially appropriate for immunolabeling resulting in improved preservation of antigenicity and lower background labeling. Johnson E, Seiradake E, Jones EY, Davis I, Grünewald K, Kaufmann R. (2015). Correlative in-resin super-resolution and electron microscopy using standard fluorescent proteins. Sci Rep. 5:9583. Anderson NL, Anderson NG, Braatz JA. (2007). Fiber bundle for use in analysis of biopolymers. U.S. Patent No.7,179,638. Erokhina TN, Vitushkina MV, Zinovkin RA, Lesemann DE, Jelkmann W, Koonin EV, Agranovsky AA. (2001). Ultrastructural localization and epitope mapping of the methyltransferase-like and helicase-like proteins of Beet yellows virus. J Gen Virol. 82(8):1983-1994.